British Icons of the 20th Century - vote for your favourite! The speaker comes highly recommended, visitors welcome. David is organising the schedule. Please contact him to arrange a time when you can help. Sun 9th December 2018 District 1090 Carol Service at Holy Trinity Parish and Garrison Church, Windsor. Detailed timings will be available nearer the date. DG Gillian would like attendees to bring a small gift such as a bar of soap, toothpaste etc. as she plans to donate the gifts to whoever the vicar feels needs a lift for Christmas. Fireworks Party at Cathy's home, details to follow. The fireworks party is for members and partners only. An open evening for anyone interested in finding out what Rotary is and meeting members of the Pinner club. A buffet will be provided. 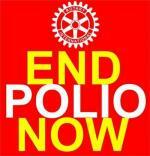 Please contact us at membership@pinnerrotary.org.uk or on 07586 305314 if you would like to attend. Meet in Chapel Lane car park at 6pm. Dinner at Kayra Turkish restaurant afterwards. Partners welcome, book in with Anne. Tue 24th July 2018 Speaker Meeting. Alistair Hodgson - History of the De Havilland Aircraft Co.
No meeting this week due to a certain football match.